Your baby is all grown up. Now he or she is a proud teenager ready to celebrate one of the rites of passage to adulthood — graduation! You want to find the perfect way to show your child how proud you are of his or her accomplishment. 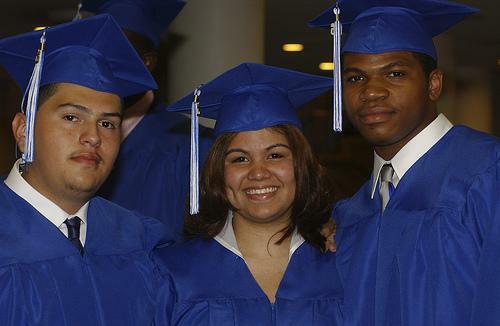 Here are four ways to celebrate your teen's high school graduation. It's never too soon to start thinking about college decor. A signed canvas is both an immediate way for loved ones to express their feelings and a future dorm room centerpiece. These canvases aren't blank — they have graduation-themed designs to show the nature of the achievement. Still, they offer plenty of space for countless proud family members and friends to leave messages. After everyone signs the canvas, it can hang on the graduate's wall until he or she is ready to move into the dorm. At that point, it becomes a permanent reminder of home. You're displaying your love while getting an early start on your child's dorm living. Nothing commemorates a graduation like an unforgettable night. Accordingly, invite all your child's loved ones to a party — and you don't even have to host it on graduation night. Because the 24 hours surrounding graduation are hectic, consider waiting until the following weekend. That way, the entire event will focus on your kid's triumph. You'll want to decorate your home for the event, so kill two birds with one stone by using 1800Flowers coupons. That way, you can adorn your home with inexpensive flowers and buy a memorable bouquet for the graduate while doing some good in the process. Some Facebook coupons automatically include charitable donations as a part of the transaction. Finally, you can make the event even more fun by offering a themed photo booth so that everyone can commemorate the night. Finding the perfect graduation gift is a challenge. You can sidestep the issue entirely with some retail therapy. Rather than giving your kid something boring like a gift card, sit him or her down to talk about the next phase of life. Point out that he or she is about to start college and will need to populate a dorm room. The signed canvas, after all, will only go so far. Then take your graduate to the mall and provide for all of his or her upcoming needs, including bedding, supplies, and furniture. Then surprise your graduate by letting him or her pick something special as a reward for finishing high school. You'll enjoy an unforgettable day together, and your child will feel better prepared for college — and can start field-testing all his or her new college supplies a few months early. This tip might sound vague, but that's because it depends on where you live. Take a look at discounted listings for local Groupons, then choose something that you'd never have suggested otherwise. Alternately, let your child pick the entertainment, understanding that if he or she chooses skydiving, you're pot-committed to join in. Groupons offer a remarkable variety of local entertainment options, allowing you to find something that will feel like a fitting tribute to the end of your child's school career. You're a proud parent of a kid who has done something amazing. Let your child know how much you appreciate his or her achievement by taking any — or all — of these suggestions.